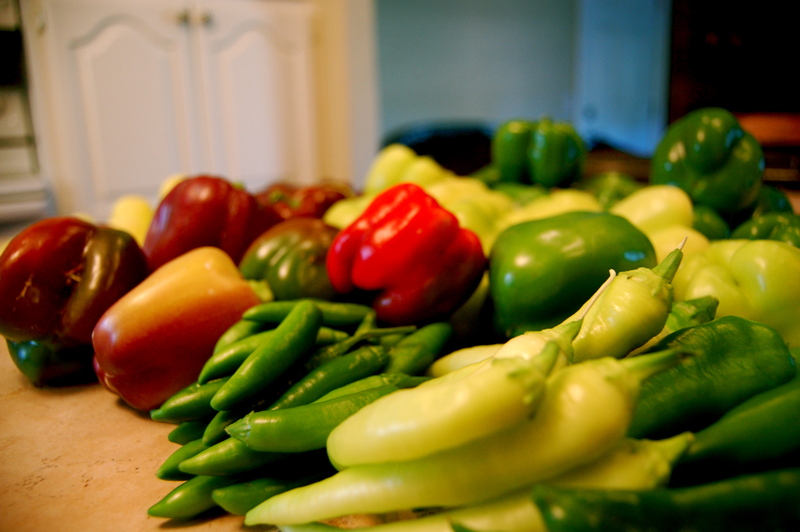 What do you do with hundreds of peppers? According to Nate, you quickly learn some basic canning techniques. 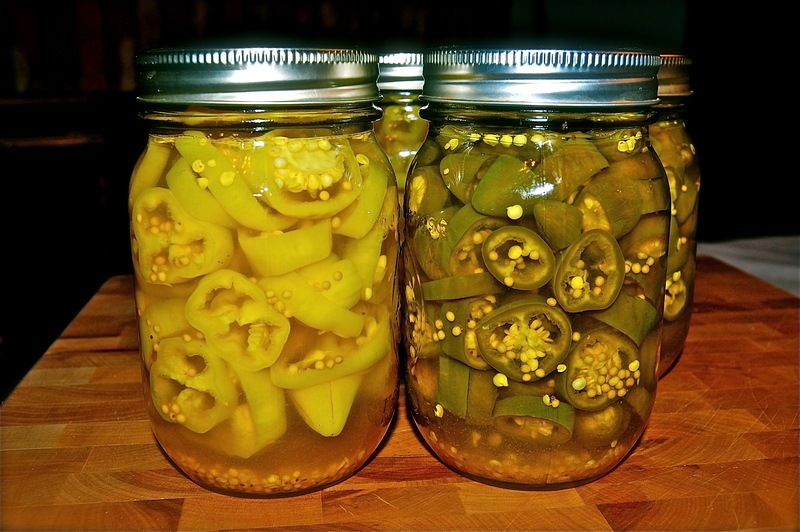 Canning is a lost art, but thankfully there are some great websites online that give clear instructions. There are even some videos on YouTube that are very helpful. When we became overwhelmed with peppers at the end of the summer, Nate started experimenting with ways to preserve them. He chose to roast a lot of them and freeze in bags. This is my favorite because they usually show up later on hamburgers and they have a great smoky taste. I like spicy food, but Nate and I have a difference in opinion when it comes to measuring if something is hot or not. I don’t have much of a resistance and Nate, like many men, likes to see how much heat he can take. Why do men do this? Recently, Nate, who makes fun of me all the time because of my low heat tolerance, was put squarely in his place thanks to my new beautiful sister-in-law. When we visited Nate’s brother Matthew and wife Dhita in Lawrence a few weeks back we all went to Pei Wei to eat. It’s one of the few Asian restaurants that Nate likes. He ordered the Thai Blazing Noodles and so did Dhita who is a native of Indonesia. I watched Nate break out in a sweat and ultimately struggle to eat his dish. Right in the middle of his struggle, Matthew asks Dhita if her food was spicy too. Her reply was simply that it was a little bit sour. I was glad to see Nate meet his match! Now back to the preservation of peppers. Below is Nate’s favorite way to keep peppers. They are good on burgers, pizza, nachos, or just about anything according to Nate. Or, you can process in a hot water bath for ten minutes. One of my favorite memories of my late Nana was the times we spent canning together. You’re right, is is becoming a lost art. After the hot water bath she always told me to turn the jars upside down while they cooled. I think it has something to do with getting a good seal. Just a ‘lil tip! Oh, I almost forgot! The Mrs. Wages canning cookbook is very helpful, too!